The IT and Student Affairs Divisions have implemented a new appointment scheduling/queue management system called LehmanQ. The purpose of this system is to reduce student wait times in lines at the Financial Aid office and the IT Help Desk, located in Carman Hall. Students are able to join virtual queues online via their mobile phones or at an on-site kiosk. The system alerts students about the status of their position in the queue and sends reminders before designated appointment times. Student surveys reveal high rates of satisfaction, an indication that the new system has saved time. Over the next semester, this system will be extended to other areas of the campus, including the Admissions and Bursar’s offices. Please see http://www.lehman.edu/itr/lehmanq for more information. Online photo submissions for Lehman College student ID cards represent another measure to reduce customer wait times. New students have a new online option available, sending their photos for Lehman ID cards directly to the Public Safety office for processing. ID cards are reviewed, printed and available for pick-up on scheduled days so cards are conveniently ready when students arrive on campus. We expect that this system will be extended for new faculty and staff over the next semester. The new photo submission system was developed at the request of the late Vice President Vincent Clark, who always sought ways to increase efficiency, improve the student experience and aspire to excellence. Digital ID cards for students are now available on Lehman 360. These “digital” ID cards can be scanned at several college facilities, including the Library (where you can also check out books with the Library ID), the IT Open Center, Campus Life, APEX and the Multimedia Center. As an added security measure, the IDs have a date and time stamp on the top of the ID rotating in different colors. Download the Lehman mobile app today from the App Store or on Google Play. An Early Alerts pilot has been launched this semester for students and faculty in the Freshman College. In addition, there is a new feature focusing on the Student Evaluation of Teaching and Learning. Both features are part of the evolution of L360 as a holistic platform for all things Lehman! To accommodate increased demand, the IT division continues to add wireless access points in campus classrooms, offices, campus tunnels and other areas. The addition of access points increases wireless signal visibility and improves the network performance for our community. Please let us know if there are areas which require increased coverage. In October, Apple released its latest Mac operating system, known as Mojave. This operating system is designed for Mac desktops and laptops manufactured after 2012. 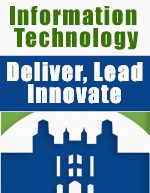 The IT Division has tested Mojave and approved its compatibility with the general Lehman College environment, including CUNY and Lehman applications, Microsoft Office products and printers, such as the networked Xerox printers. According to initial test results all current Adobe Creative Cloud applications are compatible with Mojave, although there are a few minor bugs. However, older Adobe software may not be compatible. Specialty software often requires assessment on an individual basis. For example, IBM SPSS Statistics 25, along with its fix packs, and the upcoming SPSS Statistics main release will run on Mojave; however no other SPSS releases will be officially supported. If Mojave clears all testing criteria and you should have questions regarding the compatibility of particular specialty software, then please feel free to contact us or check with the specific vendor of your software product. Apple IOS devices will soon have the ability to use a self-service module through JAMF, which is similar to Software Center. This module enables users to download and install available software and updates. Currently, this software option in the testing phase and is expected to be available next semester. This is another way we are expanding the variety of options for our customers! Authentication between Apple devices and Microsoft active directory is currently being tested using a software tool called NOMAD. This software will communicate with Microsoft and allow authentication for users through active directory. It provides the convenience of single sign-on without actually binding Mac computers to the AD. Incidentally, NOMAD stands for No More AD and its mascot, the caribou, is the most nomadic mammal on earth! Best wishes for a happy upcoming retirement to Lead Apple Technician, Michael Shur. An avid and talented photographer, guesses are he will take his creative genius to new heights in this area. Thank you, Mike, for your years of service to Lehman College! A Windows 10 upgrade is now available through Software Center – users can install this on their own! The upgrade process provides temporary data backup to a network drive to ensure that your data is safe during the upgrade. All settings and installed applications will remain unchanged. Please contact the IT division if you encounter any issues. More information will be sent to the campus community. The Desktop Support unit’s new tech team member, Rayshon Patterson, recently paired with Media Technology Services staff member, Handal Abdelrahim, to complete a complex operation in one of the Music Department’s smart classrooms. Maneuvering this critical operation required communication, collaboration across units and conquering the challenges inherent to the technical field. It involved troubleshooting an unresponsive Smartboard, re-imaging the computer, and ensuring that the correct drivers were installed to ensure the advanced functionality of the software for faculty use. The close teamwork of Rayshon and Handal was a result of the active support from the managers of the respective units, which ensures the delivery, dependability, and availability of high quality classroom technology for teaching, learning and creativity. It includes, but is not limited to, providing rapid responses to high priority classroom technology service requests. Continuing our focus on people, especially the highly talented, part-time staff members who are essential to the success of IT, no-one personifies this more than Luis Garcia. Quiet and soft-spoken, a graduate of FIT in Graphic Design, Luis is both technical and highly creative. Gartner predicts by 2021, forty percent of IT staff will be “versatilists,” or muli-talented individuals. According to Gartner, “versatilists are able to apply a depth of skill to progressively widening situations and experiences, equally at ease with technical issues as with business strategy.” With his special gifts, Luis certainly fits this mold. He is involved with web layouts, creating icons and implementing displays. Thank you, Luis! Another versatilist is Brian Ribeiro,who functions as one of the Assistant Managers for the Desktop Support Unit. Distinguished by one of the brightest smiles in IT, one of Brian’s major roles is the Student Technology Fee administrator for the division. Since the call for student technology fee proposals was distributed in early November, we expect Brian to be on the vanguard of this critical mission. But did you know he is also a very talented opera singer? And his favorite singer is…Pavarotti. Why, because in Brian’s opinion, Pavarotti is one of the best in the business, and so is Brian! Along with CUNY and BCC colleagues, AVP Edi Ruiz and Senor Registrar Yvette Rosario received the prestigious CUNY Excellence in IT Collaboration Award for their work with CUNYsmart’s Student Success Dashboard (SSD). The fundamental purpose of the SSD is to increase graduation rates and student success through innovative technologies, methodologies and tools. This collaborative effort integrated data across systems, including CUNYFirst, Degree Works and the Office of Institutional Research (OIRA). This approach produces actionable insights relevant for decision making for graduation specialists and student success teams. The award was presented at CUNY’s 2018 IT Conference, held in late November at John Jay College. Congratulations! Congratulations to Angelica Martinez for attaining a new role in the IT Division. Angie is a delightful amalgamation of a dynamic personality, brilliant mind and a kind heart. Her new role involves working with the financial and project management aspects of IT administration. Angie brings a wealth of experience, knowledge and skills relevant to the IT domain and is a proud graduate of Lehman College. Thank you, Angie! Best wishes to Alison Gran, this year’s recipient of the IT Outstanding Service Award at the 2018 CUNY IT Conference. Alison has contributed professionally to the College as an IT expert and has assisted the College community through advocating for support of the Lehman Food Pantry, among other areas. She has added memorable joy to many hearts with her culinary skills, creating delectable desserts baked especially for staff birthdays. Congrats, Alison! As the semesters change, the IT Help Desk remains an enduring center for customer service excellence. The new virtual appointment scheduling system, LehmanQ, includes a brief survey for students after service is completed. The single question survey asks “Would you would recommend the IT Help Desk to a friend.” The overwhelming majority of respondents, ninety percent, stated YES, they would strongly or very strongly recommend the Help Desk! Congratulations and thanks to Maria Garcia, Diane Morgante, Jose Torres, John Dono, and all Help Desk staff for their outstanding customer service performance! Patient and steady with all he must bear, Ready to meet every challenge with care, Easy in manner, yet solid as steel, Strong in his faith, refreshingly real, Isn’t afraid to propose what is bold, Doesn’t conform to the usual mold, Eyes that have foresight, for hindsight won’t do, Never backs down when he sees what is true, Tells it all straight, and means it all too. Going forward and knowing he’s right, Even when doubted for why he would fight, Over and over he makes his case clear Reaching to touch the ones who won’t hear. Growing in strength, he won’t be unnerved, Ever assuring he’ll stand by his word. Wanting the world to join his firm stand, Bracing for war, but praying for peace, Using his power so evil will cease: So much a leader and worthy of trust, Here stands a man who will do what he must. Divisional presentations of the 2018/2019 IT roadmap were held during the spring semester for a variety of campus committees and groups. A special thanks to those attending these sessions and for contributing ideas and suggestions. The roadmap is available on the IT website. The IT Newsletter is edited by Sonia Rai.